Significant investments are made by owners and tenants in constructing and maintaining their physical assets – their offices, buildings and plants. A well maintained facility provides a clean, safe and productive work environment while achieving operational and financial efficiencies and creating lasting value. 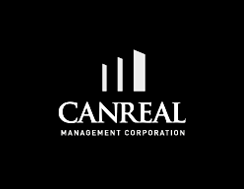 Canreal offers complete business support solutions including providing day-to-day operations and maintenance, preparing operating budgets, implementing health and safety procedures and energy programs, vendor management, systems management, project management and much more. Our approach to facility management is similar to our approach to property management – hands-on and proactive. In consultation with the client we will establish short term and long range plans, then assemble the appropriate team members to deliver the required services. We are effective facility managers because of our attention to detail and regular communication with the client. We will work closely with you to tailor a program that meets your needs. Contact us.